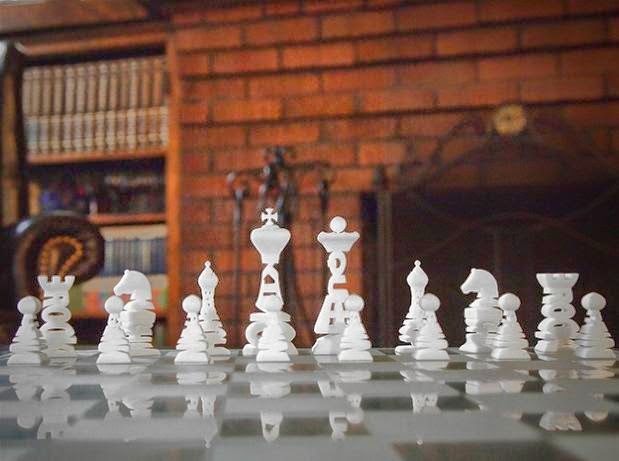 Collection of 'Awesome and Coolest Chess Sets' from all over the world. 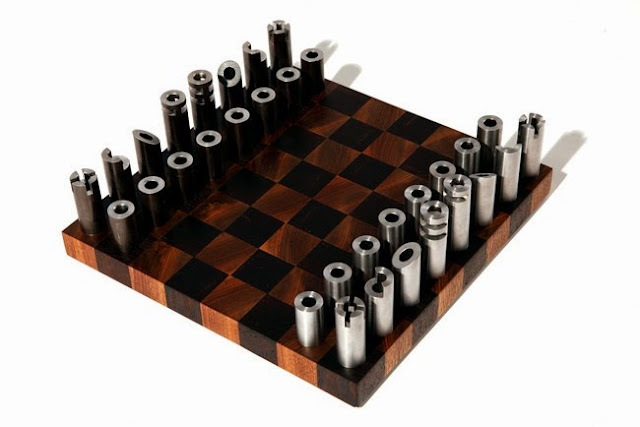 Classic Tool Chess Set: These 32 handsome chess pieces are handcrafted out of everyday hardware pieces and are given powder coating for a beautiful finish. 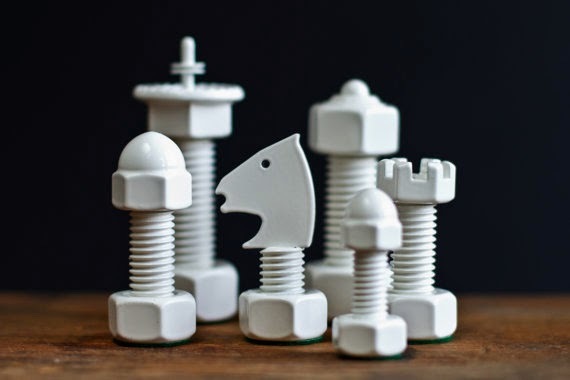 Barrister's Chess Set: The chess pieces in this set are represented by characters of law. 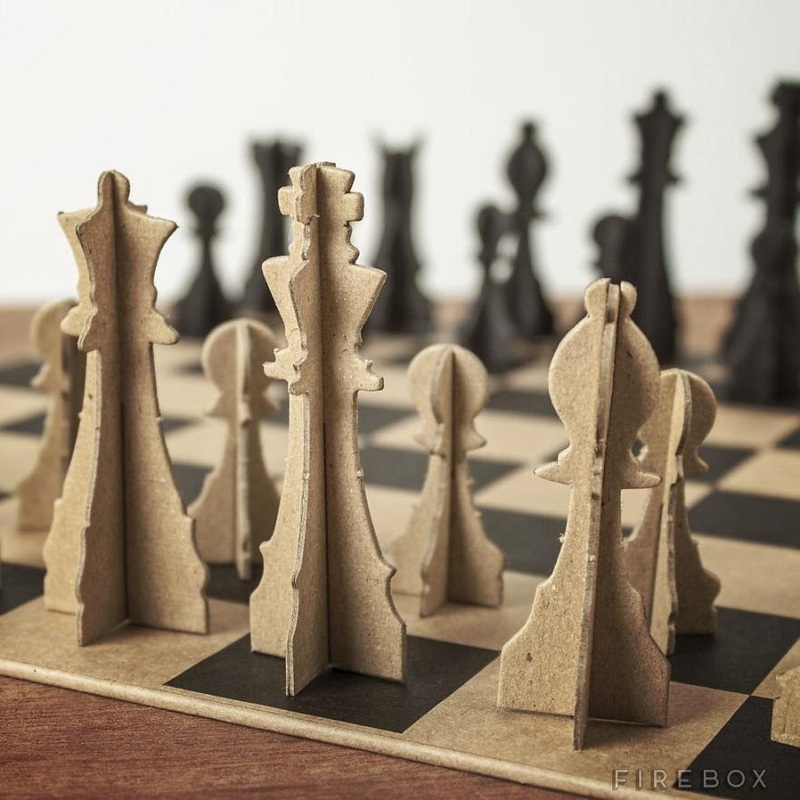 Paper Chess Set: This paper chess set is amazingly lightweight and portable, perfect as travel chessboard. Typographical Chess Set: These chess pieces incorporates each piece's name as the focal point of their design. 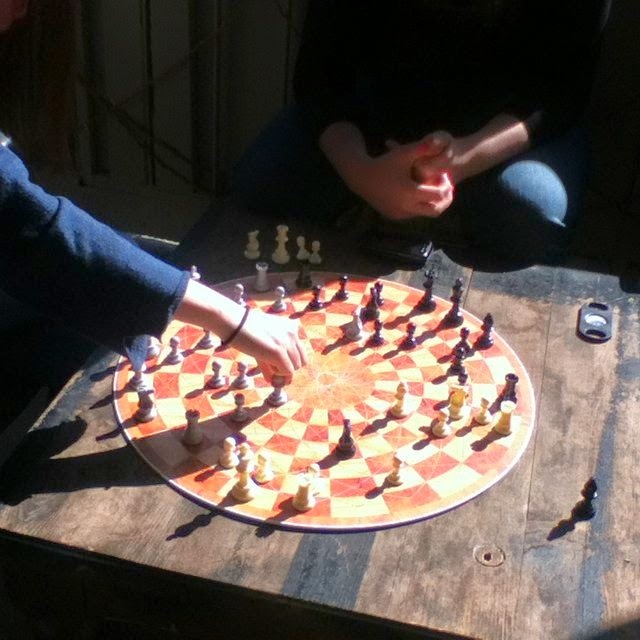 3 Player Chess Board: This three player chessboard allows 3 people to play at the same time. 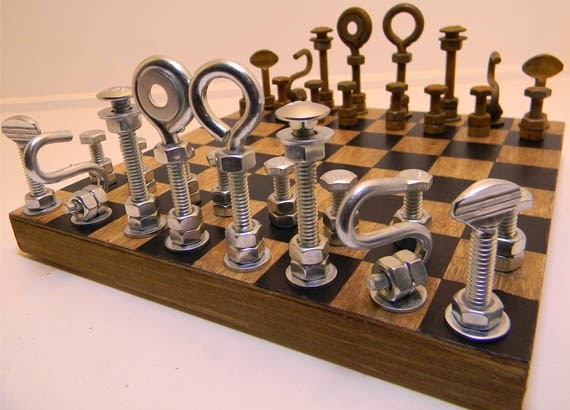 The King's Men Chess Set: The chess pieces here are sculptural steel pieces. 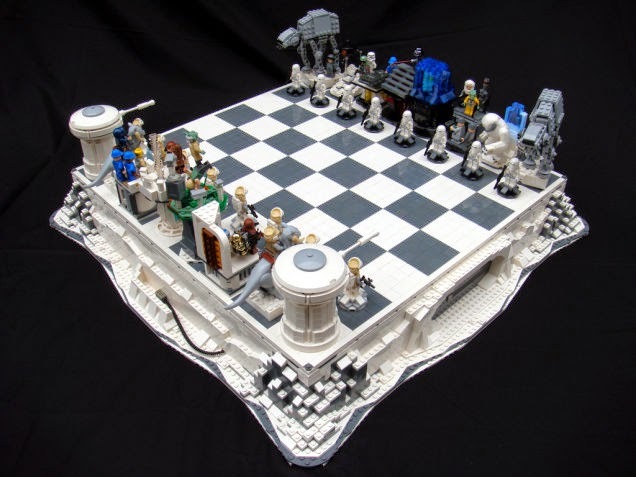 Starwars Chess Set: This chess set inspired from Starwars is the creation of Brandon Griffith. 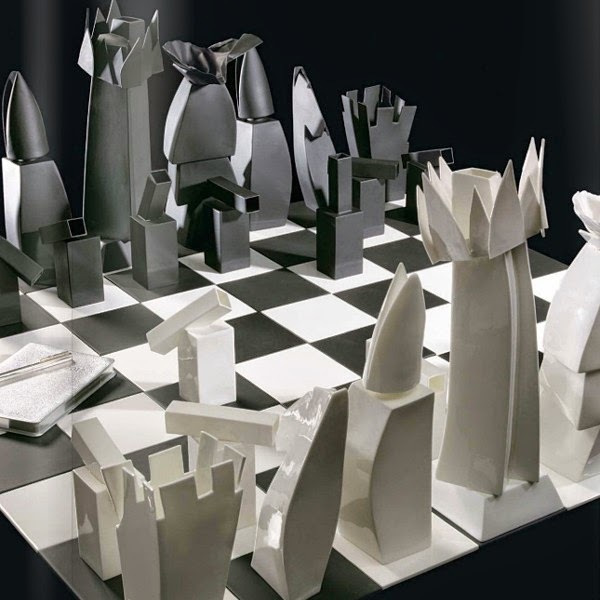 Chess Set by Frank Gehry: Designed by Frank Gehry, the 32 pieces of this set are unique structures that can sometimes remind the Guggenheim Museum or its skyscraper at 8 Spruce Street in New York. 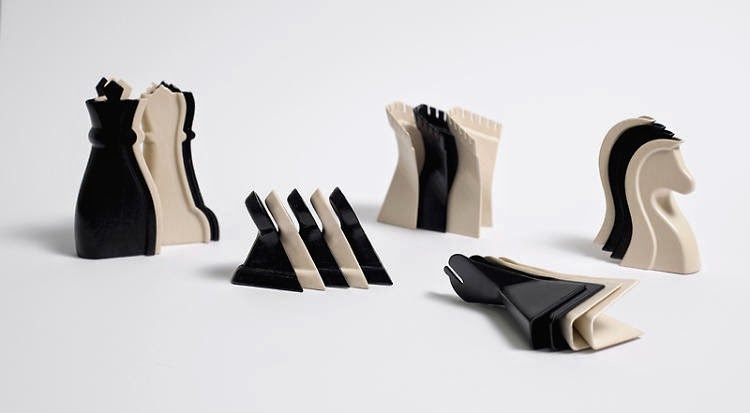 Chess Set by Neora Zigler: These pieces feature a space saving design and allow compact packaging. 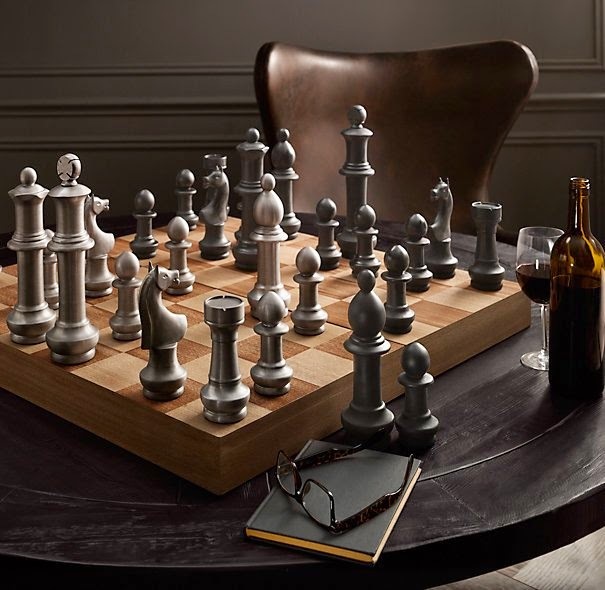 Oversized Chess and Checkers: The board is crafted of inlaid wood with a stained finish while the oversized aluminum pieces come with an industrial finish on the lighter pieces and a darkened metal finish on the dark pieces. 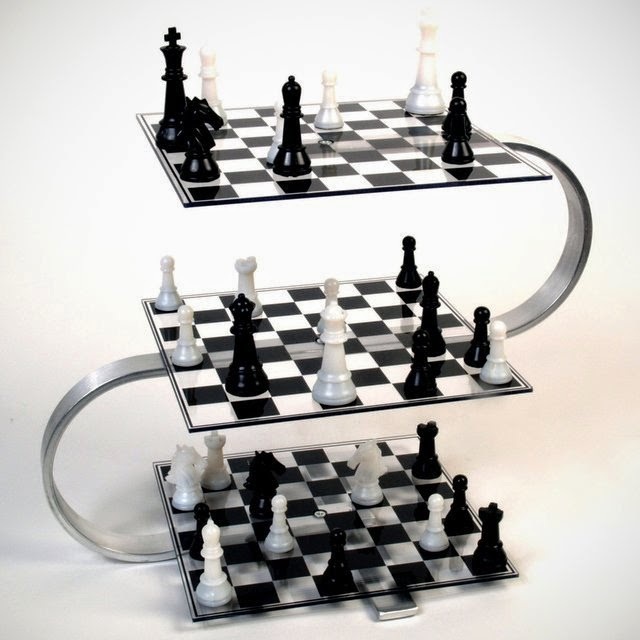 Strato Chess: The Strato 3-D Chess Set includes 3 acrylic chessboards set atop 3 different tiers and you need to strategize that includes traveling up and down the board. 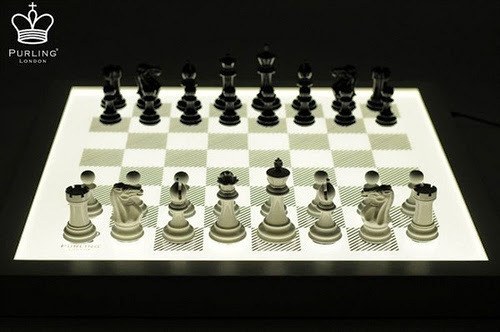 Dark Chess Set by Purling London: The Dark Chess board is handmade in England and features illuminated board technology. 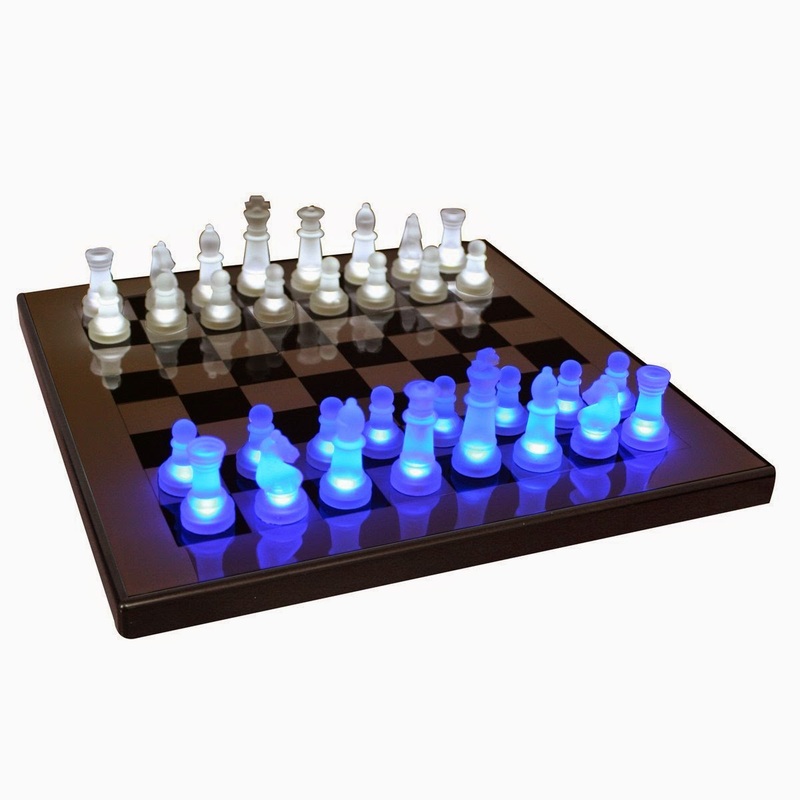 Light Chess Set by LumiSource: The chess set features cool translucent pieces that has inner light which lights up on or near the board. 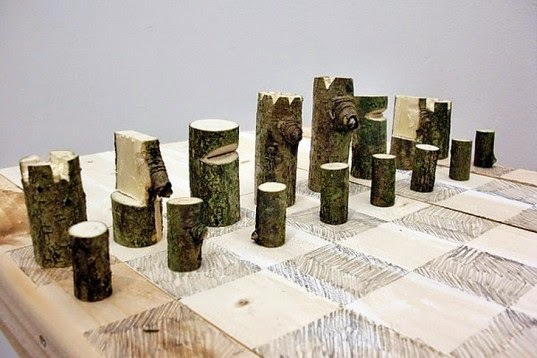 Log Chess Set by Marigold: The Log Chess Set is handmade using only a single tree branch by British designer Marigold. 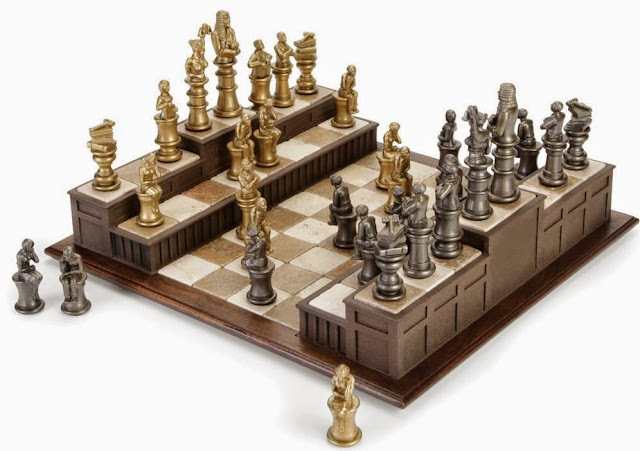 Don't miss to check out "Awesome and Coolest Chess Sets - Part: 1| 2| 3| 4." 15 Creative Electrical Outlets and Modern Power Sockets. 15 Creative Backpacks and Cool Backpack Designs - Part 2. 15 Cool Chopsticks and Creative Chopstick Designs - Part 2. 15 Creative Beanbags and Cool Bean Bag Chair Designs - Part 2. 15 Unusual Bathroom Scales and Stylish Bathroom Scale Designs - Part 2.